Today I have released version 3.11.t beta 28 march 2006. I have also found out that the way I was using this blog for the information on the new beta version wasn't used right. Therefore I have created a 'permanent' page with information on the new version. I will post the new details in posts like this one and then refer to that page. Several people have sent me some good feedback on the beta versions (thanks!). I've used these suggestions to make improvements and now a new beta version is available: 3.11.t beta 28 march 2006. For as far a I could test it, since beta q version 3.11 will also work on XP limited user accounts (after installed as administrator). The "could not connect to DLL" startup-errors which sometimes occurred should be gone in this new version. The new version of ASAP Utilities is almost ready. Please help us to remove any last remaining bugs by downloading and testing the 3.11 beta version. Download, test, and let us know if you think it is good enough. ASAP Utilities 3.11.t beta setup.exe (update: no longer available). A brand new User Guide will show you how to get the best of ASAP Utilities. A concept version (118 pages) can be downloaded as PDF document. The document is optimized for duplex printing. ASAP Utilities User Guide.pdf (2.9 MB pdf). (update: you can find the latest version here). ASAP Utilities is now partly a COM Add-in (ASAP Utilities.dll). Excel's startup with ASAP Utilities is (much) faster. We previously had split the utility into several files (sheet.asap, format.asap, etc.). Whenever a utility was run the first time from one of these files, the file had to be opened, which in some cases caused some delay due to a virus scanner or slow network. This is gone now which improves speed. The code is easier to maintain for us and upgrades can be provided much quicker. Control+Shift shortcuts can be used (again) in the favorites menu. The only disadvantage is that Excel 97 is not supported by this new version. We will create a special version for the people that still use Excel 97. Expanded undo. Much more utilities now can be undone. Extend the sorting capabilities of Excel. You can now sort on 5 columns and we have extended the characteristics to sort on. Now also supports the vector format EMF. Vector graphics in EMF (enhanced version of WMF) format can be scaled and fully edited in MS Office and other Windows applications. They generally produce the best quality for printing. Hyperlink in cell to hyperlink 2 click has been renamed to make more clear what it does: "Activate hyperlinks (create from cell-value)"
I've added an option to switch on/off the question that sometimes is asked before running the utility, e.g. questions like "Do you want to convert all text characters in selected cells to UPPERCASE?" can now be turned off in the ASAP Utilities » ASAP » Options dialog. The layout is improved. Your last used settings will be remembered. The settings for "fit pages" (x pages with and x pages wide) can now be copied too. Makes the first character uppercase and the rest of the text lowercase: for example BASTIEN will become Bastien. Save worksheets as separate files in a folder you select. Hyperlinks from shapes/images can now be extracted too. 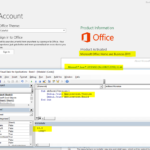 You must be logged in as an administrator or as a member of the Power Users group when installing ASAP Utilities. When the installation is finished every user on the computer is able to use ASAP Utilities. Installation is easy. Best way is to make a backup of the current files in the ASAP Utilities folder and then run the installation. I want Organisation chart in ASAP-Beta.Please create coming version and i am facing one problem in excel.shortcut keys are not working. firtst one is ctrl+alt+I & ctrl+alt+L. I'm simply not capable of 'applying a formula'. No matter what I do (apply the formula to a value, another formula or a reference) I always get the same error in my both my Windows Server 2003 & my Xp set up with Excel 2003. Sorry your formula generates an error: Method Calculate van klasse Range is mislukt. Please re-check your formula: [*100]. Common mistakes are the incorrect use of decimal separators (…) thousandsseparator (…) list separators. I continually get the "Error" message. I would like to get the updates on a disk, if possible? Great add-in! Look forward to seeing the bugs worked out on the 3.11 version. The Merge Columns and Merge Rows macros do not work. For Merge Rows get a text box asking to select rows even though they were already selected. For Merge Columns, get the form for adding an intermediate character or linefeed, etc, but merge does not happen. I've used the older versions of ASAP utilities and it is a great add-in. I tried the beta 3.11 version and after I installed it everytime I start Excel 2003, the installer for Visual Studio 2005 (which I also have installed) comes up and runs. I let it run all the way through which took some minutes hoping it would go away, but the next time I started Excel it came back. I tried repairing my VS 2005 install (which took about 30 minutes) and it didn't solve the issue. The only fix I found was to uninstall 3.11. I didn't look into the issue very deeply, but there is probably a file that the 3.11 is installing that is older than the version in Visual Studio 2005. I'm back to 3.10 which is fine for now. FYI: Not sure what may be the cause, but have downloaded the 3.11 Beta version three times over 2 separate sessions (weeks apart). In all 3 downloads, [all over dial-up @ 45 kps], have had download end at 868,272 bytes, showing @ 85%. Download window indicated file size of 1 MB, which correlated well with the % download running value. In all 3 cases, when ran the EXE, an error message popped up saying the file was corrupted [which could be the case if the download terminated early] but 3 times over 2 separate sessions? Seems odd to me. Figured it was at my end first 2 times, but as the third was an immediate re-start after the 2nd failure, I have just about ruled that out. Have had no similar problems with downloads on this pc or dial-up link. Its just slow, but line condition is good. I have several text files I am trying to merge into a single worksheet. (I have done this same process for months with previous versions). Method "~" of object "~" failed. The files I am selecting are text files that have the extention ".excl" They actually do not have any pipe characters. I use that option because I want the rows imported into a single column and I have to use text-to-column to parse the data out… there is no delimiter in the row that is consistent. I have just put a new version online, 3.11.s d.d. 22 march 2006. This fixes most bugs currently reported and has a few new/enhanded utilities. Please upgrade to the most recent version. Perhaps something is wrong with your internet provider. The file online is complete. You could try the alternative download location which is on a different server. This is strange. I don't have Visual Studio installer so I cannot reproduce it. However both 3.10 and 3.11 use the same setup program. Please download again, try the alternative download location or request the file by email. Please upgrade to the most recent version. If you still have problems, can you send me an example file? I am not able to reproduce the error. Can you test it again with the current version? Can you send me an example of the workbook in which you are getting the errors? Is there a way to assign the "Convert formulas to their values" macro (or any other ASAP macro) to a button on a toolbar? "Convert formulas to their values" is Control+Alt+P. You can assing your own shortcut keys in the favorites menu. View » Toolbars » Customize. You can also right-click on the toolbar and choose Ã¢Â€ÂœCustomize…Ã¢Â€Â, the last item in the popup. Then drag the unwanted buttons away from the toolbar or drag them to your own bar. When you're finished, click Close to close the Customize dialog box. I installed the beta release ASAU Utilities 3.11 and this is the outcome after installation. This is strange. Usually running the "install as addin.xls" will start Excel and open the file. The workaround now is to perform the installation again, and UNcheck the checkbox in the last screen that will ask you if you want to have ASAP Utilities installed as addin everytime Excel start. 2. On the tools menu, choose Add-Ins. 4. If Excel asks you to copy the file to the library folder, answer "no". 5. Check the "ASAP Utilities" check box. 6. Next to "Help" in the menu, there is an option called "ASAP Utilities". 'applying formula' works in the newest beta version 3.11s, but not in version 3.10 (which I use at work). Every spreadsheet gives the same error. Even simply entering 12, 13, 14, 15 in cells A1 through A4 and subsequently highlighting these cells and applying the formula *12 gives the mentioned error. To Bastien: Thank you for the reply. However the macro I am interested in "Convert formulas to their values" does not seem to be one of the standard buttons created when you build the ASAP toolbar. There appear to be a number of duplicate buttons but not the one I am interested in. I would like to specify the macro for a button by going through the Customize / Assign macro option but the only thing that shows up is ! (same for all buttons) so I don't know how to point it to a different macro. Maybe the only solution is for the ASAP authors to fix the Build Toolbar function. Thanks to your hard work, the world (at least the excel users of the world) is able to enjoy great benefits with your program. Thanks so much. First, when I tried it on a spreadsheet with about 14 tabs, it seems that it works, but when I go to where I specified to save it, the files aren't there. However, when I tried it again it says that the file already exists and if I want to overwrite them. Another issue here is that the radio buttons for selecting to overwrite is grayed-out. It only tells me that the file exists when I say ok and it proceeds to save the file, in which case it asks me to overwrite each file. So, I thought, may be that because I just installed the upgrade, that I should close and re-open excel and then try again. That's when problem number two happened, when I load excel, the ASAP menu comes up while excel is loading, but shortly thereafter it disappears and doesn't come back when it finishes loading. I go to Tools\Add-ins, and the option is selected, however. I tried re-installing and when excel opens, the menu is there, but the moment that I close excel and re-open it, again the menu disappears. I had to revert to the last beta that was working for me (3.11m). I'm using Excel 2000 on Windows 2000. BTW: I had sent this to you via email. Then I realized that posting it here would have been more appropriate. Thanks. Thank your for reporting this. I have been working on it this afternoon. I've also enable the options to choose to overwrite existing files, skip or ask. I cannot explain or reproduce the problems you got after the error. At this moment I am also checking some other things. Probably this weekend but definatly monday I will put a new version online. It would be great if there was an easier repository for building custom fuctions than writing VB. For example, I've always wanted to create a function that would take an email address and turn it into a URL. I know how to build this in Excel with the formula editor, but if I had to do it in VB I would be stumped. I'm not a good coder. Extra functions in Excel have to be written as User Defined Functions (UDF). 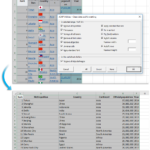 If you cannot do that you might find sites where you can download add-in with addinional Excel functions. ASAP Utilities has a few of them, but there are sites. If you need special functions a lot, spending some time in the Visual Basic editor might help, it is not that hard en there are plenty of good examples available on the internet. Absolutely love ASAP Utilites. Use it daily!! !